Can You "Make Up" Lost Hours of Sleep? There are few things more miserable than a night spent tossing and turning. Aside from the annoyances, though, your health can suffer in many ways if sleepless nights are the norm for you rather than a rarity. If you suffer from a loss of sleep, and it if has lasted more than just a few nights, you should examine the possible causes and correct the problems before you begin seeing health issues. For many people, a few easy tips can bring back the snoozes and help you awake feeling rested. Others, though, might need medical help either temporarily or longterm. Either way, tackle the problem before it creates issues with weight gain, tension, daytime fatigue and even worse symptoms. How Do You Recover Lost Sleep? Anyone who has gone several nights without sleep knows you indeed feel better once you're finally able to relax and drift off to dreamland. But many experts say there's no such thing as 'getting back' the sleep you have lost. This doesn't mean you can't recover and move forward with energy, it just means your body won't somehow 'restore' the sleep you didn't get on those nights when you wanted to scream and throw your pillow. You can, however, get on a new sleep schedule and either retrain your body to sleep soundly or find solutions, in most cases, for insomnia. No - I sleep like a baby! Rarely, not often enough to be a problem. Sometimes, and it wears me out. Yes - it has been a chronic problem for quite a while. If you're still playing detective to find out why you're not sleeping, start by looking for obvious issues. Did your surroundings in your bedroom change in some manner? Something as simple as adding a television (which, in the long run, may not serve you all that well in a bedroom, but that's another story) or a digital clock can create havoc for your sleep. Almost every electronic device now has an LED lighted clock and panel. These lights seem unobtrusive, but researchers have decided this tiny bit of extra light during the hours when we normally sleep can cause problems. Many pilots (who travel through various timezones and constantly work on 'catching up' on their sleep) habitually cover the LED display on hotel clocks. Actually, I do that as well - I learned years ago that those blue or red numerals kept me awake at night. So I now cover the LED displays on televisions or clocks in my bedroom and when I travel. It's made a world of difference! Have you started watching a new program in the evening? Or spending a bit more time on the computer before you go to bed. That concentrated dose of light, from the screen, does something to your internal clock and helps keep you awake even after you shut things down and hit the bed. Examine your eating habits and decide whether a change in timing or menu choices might be the problem. Are you spending hours in bed going over the day at work, or the big project that's coming up? Or are you fretting over relationship issues? Maybe it's time to get counseling on stress relief, or to make a list of things you'll deal with the next morning. Scarlett O'Hara was no dummy when she reminded herself, "Tomorrow's another day!" What are your exercise habits? Too much exercise late in the day can keep you awake. And, in contrast, not getting enough exercise can also interrupt your sleep patterns. If you've gone over these suggestions and you're still spending time staring at the ceiling each night, consider asking your physician for advice. He or she may recommend a sleep study, or suggest using a mild sedative for a short period of time. Once you find out the core problem, you'll need to manage your habits and health in order to get back to a pattern of sleep that restores you each night. If you aren't exercising, add exercise to your day, even in small doses. This will help your body's circulation and increase your daytime energy. Which, in turn, will make your body want to relax and rest when you hug the pillow at night. Make your bedroom your haven of rest, and consider moving distractions such as televisions, computers or other brain drains into another room. Don't read in bed - this keeps your eyes open and requires a nearby light. Read in another room, and when you're tired, put the book down and tell your body it's time for bed. If you're tossing and turning, go ahead and get up for a while to see if you can reset your body and allow sleepiness to return. Meditation and yoga have helped many people learn to put their minds in a peaceful place and rid their thoughts of nerve-wracking distractions. Pamper yourself in the evening with a hot soak in the tub, or scented oils, and buy the most luxurious sheets you can afford to make your bed all the more tempting. One word of caution: If candles are one of your favorite ways to create a relaxing mood, DO NOT leave them burning while you go to bed. Too dangerous. In every way. 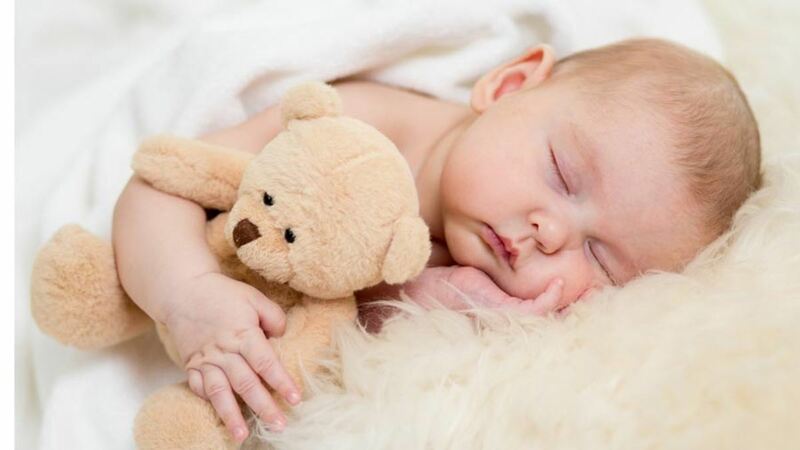 Make your bedtime a serene moment in the day, and give your body some signals that tells it to let go of outside worries, and you'll have a good chance of sleeping like a baby again sometime soon. LOL! I think you and I suffer from the same self-inflicted insomnia diagnosis, Wilderness! Whenever I lose sleep, I try to avoid taking a nap the next day (unless I have to drive my car), so I can really be ready to sleep the next night. It's difficult for me to nap, so that part is easy, actually. Hope you get off the forums and hit the hay earlier tonight! A useful hub! I occasionally go short on sleep - usually playing too late on the HP forums :-). This might help - I would never have thought of exercising the next day, for instance. As far as insomnia, I make it a point to never read in bed or watch TV. Bed is only (well, almost only :-) ) for sleeping and that tends to make it a habit thing - going to bed means it's time to sleep, not put the mind in high gear. I've also had trouble getting my thoughts to shut up and let me sleep at times, Ryanjhoe - thanks for sharing your tips on how you've handled it! If I have so many thoughts or being stressful, usually I have difficulty to sleep at night. I change my habbit since I got panic attacks eating healthy food and exercise regularly. Thanks for sharing! Thanks, Zak - and I'm tired just thinking about your busy schedule of shift work combined with two active babies in the house! The one tip that helped me the most personally was to cover all LED lights in my room. That unnatural glow (whether it's blue, red, yellow or whatever) really does things to your body's ability to rest. Best of luck on recapturing your dreamtime! There is some great advice here. As someone who works alternating shift patterns, and has two daughters under two years old, advice on sleeping is always welcome! Many Thanks Marcy, it was a great read and I am sure to have learned something to help me. Thanks for mentioning Melatonin, Thomas - it's certainly worth pointing out here, I've tried it before, and it did help me fall asleep, but invariably, I would wake up a few hours later & not be able to go back to sleep! Bummer! I do hear it works for many people, though. Valerian is another herbal remedy. When I get time, I may add those tips here. A very useful hub! You forgot counting sheep! Seriously though, I'm glad you mentioned exercise because that always works for me. With reading in bed, I think it can work if the light you read by is comparatively dim compared to the light you were using earlier. Firstly, this accustoms your eyes to reduced light, queuing the release of melatonin to bring on sleep. Second, it makes the eyes tired because they're working a little harder in the dim light. It's probably not for this hub, which concentrates on non-medical cures, but apparently melatonin capsules are available to people who suffer from sleep onset latency. It works for others, but I haven't tried it. Ooooh - I so know what you mean, Paradigmsearch - I'm guilty of that, too. Although I had trouble sleeping even when I was a hyper little kid. Hope you're able to tackle the problem and get some good snoozes! This article helped me. I'm reasonably certain that my lack of exercise is the culprit. Hi, Cathy! Thanks so much for your comments here - I'm so glad you found some ideas that might help you get the rest you need. I like the hot bath idea, too (or even a hot shower) - it relaxes you and helps release muscle tension. When I travel, the biggest help for me is to cover up any sort of light in the room. This is very informative and timely for me. I have been traveling and am sleep deprived. The hot soak in the tub and scented oils, sounds especially apealing. Can't wait! Thank you, Crystal! I know exactly what you mean about the prolonged fatigue. So glad you like the information here. A useful hub and timely one for me as an exhausting work week last week has left me drained. Though I slept a lot this past weekend, I still feel more tired than usual. I really believe what you say about not being able to regain the sleep lost - once I get too tired, it can take weeks for me to get rejuvenated, and then only if I'm able to cut back on commitments and work. Voted up and interesting! Oh dear - I love seeing your comments here, but at 4am? Take care, Gordon! Hi, Marcy. Sitting here at 4am typing away but I know you are right. I have a couple of possibilities in place re my major sleep problem and will let you know. Thanks. Hi, Gordon - I do hope you look into the sleep issue. Maybe you can get a sleep study done to see if there are issues you're not aware of just yet? 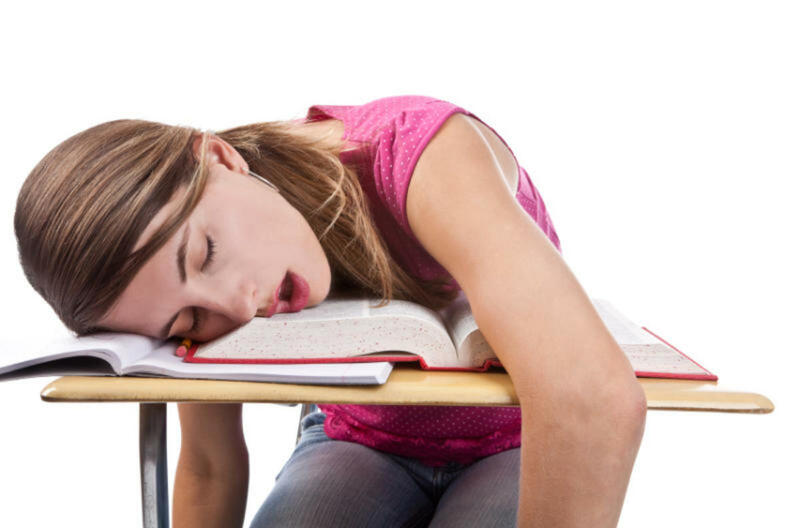 It's crucial to get enough sleep - even though we all need varying amounts to a degree, we do need it. Let me know if you find the right solution? Oh, I'm right with you on that, fpherj! I think regular pilgrimages to Ojo would cure a lot of ills! Hope you find out what's keeping you from getting good rest, Dear Friend! Hi, fpherj - I've had that problem, too - I'm no doctor, but I wonder if you simply have trouble getting your muscles to relax, even though you're sleeping. Maybe try getting a massage once a month and taking a hot bath at night before bed would help you maximize your sleep? The sleep clinic can help, too - you might have restless legs, or have apnea or something that prevents you from getting restful sleep. Let us know what you learn? Those LED clocks drive me crazy, cclitgirl! I put up with one for years before I realized it had been a problem! Oh, do I know that pattern! A few hours of sleep & then you're awake just after midnight. We might be related or something, raggededge! Thanks for reading, and for the chuckle I got picturing you as a little kid holding your eyelids open! Oh, this is so me. Lately I've been getting to sleep okay but then waking around 3am. I'm so used to being an insomniac (since childhood - my mother said I used to hold my eyelids open), that I can lay still for hours now, and just convince myself I am resting. Thanks, Peg - I'm glad you found helpful suggestions here. I've battled insomnia, too, and it is very frustrating. I know what you mean about the new day in the middle of the night! Hi Marcy. Great ideas for a more restful sleep here. I've been plagued with insomnia for a long time so much that it's like a brand new day in the middle of the night. Covering the LED lights that are in the bedroom are a definite helpful hint. Once when we had moved the hubby's home office into the bedroom (telephone wire connection) we would wake up to faxes coming in on the machine. I slept much better when the office went downstairs. Hi, DDE - yes, you're so right about the bad side effects of sleeplessness. Thanks for reading and commenting here! And sweet dreams! I think many women go through that, BraveWarrior - it's very uncomfortable & definitely interrupts your rest! I've heard that eating soy foods (tofu, etc) can help, for what that's worth. Let us know if you find some strategies for relief! Marcy, I have trouble staying asleep once I fall asleep. Before I quit my corporate job, I had trouble falling asleep. That has now fallen by the wayside. What I find now, going thru menapause (thank God I don't have someone to kick out of bed!) is constantly moving from one side of the bed to the other and back again when it becomes warm. I have a condition that disallows any type of menapause relief, including over the counter 'herbal' remedies. I'm at risk for breast cancer as the result of my condition, 'atypical hyperplasia'. Anyway, I don't seem to have trouble falling asleep anymore since I quit my job. I have trouble staying asleep because I need a constant cold spot in the bed! Thanks, Aviannovice - it sounds like you certainly experienced some varied hours - that would surely play a number with your sleep pattern. You did a very good job on this. For decades I was in police work and worked rotating shifts. Believe me, this affects one later on! Good plan, Nettlemere - you are so fortunate you escaped further harm! Thanks, alocsin - these tips have helped me quite a bit. The LED light issue was a surprise, because we have had those clocks, etc. for years. When I go to a hotel, I go around and cover up the clock, the TV display, the tiny light on the thermostat - you name it! Let me know if these ideas help! Since that night I've never lit another candle in my house Marcy, it gave me such a fright! Now if I want something nicely scented I put a few drops of essential oil on a warm radiator. I'm going to try some of these suggestions, Marcy, because I often suffer from lack of sleep or not enough hours. Voting this Up and Useful. Hi, Mr. Happy - thanks for mentioning that! Herbs indeed have powers to relax us - great idea to include it here. Hi, Melovy! You are right about the computer! I chided myself last night for staying at the screen too long to finish this hub - and tossing and turning when I went to bed! I knew better! Thanks for your comments and votes! Good tips here. Not much I would add except to say that herbs can always help-out, in terms of sleeping. And not only the ones which are smoked, haha! ... A simple tea made from chamomile flowers can act as a natural sleeping pill. Oh, Nettlemere - you gave me chills to picture that scene! How fortunate you awoke before it got out of control (more than it already was!). Thanks for reinforcing the safety issues! Hi, Debbie - I confess I envy your ability to sleep easily and readily! You are fortunate! Glad you enjoyed the hub! Hi, PaisleyGal - insomnia can even affect children! Many people don't realize itscnot normal to be awake for hours every night. Thanks for sharing! Hi, Deb - that's an interesting study, and I believe it! I had a serious period of sleeplessness that affected my health considerably. Great to meet you here, too! Thanks, Kamalrsh! Hope the hub helps you get some sweet dreams! I always seem to feel tired at this time of year (it gets so dark here.) And for various reasons I have not been getting enough sleep lately - started with a sick child and then just seemed to go on. I do cover LED lights, and I also noticed a while ago that exercise is important, so try to get some most day. But can see it's time I switched the computer off earlier at night and had a relaxing hour before bedtime. It's just so tempting to stay up late and chat online to people in the States, but it's time to stop! Very useful and sensible suggestions - I'm glad you put in the candle warning. I fell asleep with a candle lit and woke up to a roaring which was the sound of the candle tin going up in flames and catching the wallpaper! Good article.. one of my best friends has suffered from insomnia for years... Thanks .. voted up..
fascinating hub and very useful. Sleep deprivation was related to major depression in a recent study that I read. The actual mood is affected far more by sleep that an increase in salary. Great hub and very nice to meet you. Thank you for sharing this EXCELLENT article with very Useful and Interesting tips. Voted Up.